The U.S. Supreme Court on Dec. 1 let stand a lower court’s ruling granting a new hearing for Arizona death-row inmate Richard Dean Hurles in the 1992 stabbing death of a Buckeye librarian. The high court denied without comment Arizona’s appeal of the case, which the Supreme Court had considered more than two dozen times before finally turning it away. Hurles stabbed Buckeye librarian Kay Blanton 37 times as she worked alone in the library in 1992. He was convicted in 1994 of burglary, attempted sexual assault and first-degree murder, and sentenced to death. Hurles has filed multiple appeals during his 20 years on death row. He has argued that he was inadequately represented by his public defender during his trial and that the judge, Maricopa County Superior Court Judge Ruth Hilliard, was biased against him. The 9th U.S. Circuit Court of Appeals agreed with Hurles’ most recent appeal, ruling that a 2012 Supreme Court decision that gave state prisoners the right to claim ineffective counsel at the trial level could be applied to claims at the appellate level. Arizona Attorney General Tom Horne appealed that ruling to the Supreme Court, arguing that the circuit court had misapplied the 2012 decision, Martinez v. Ryan, which also arose from an Arizona case. 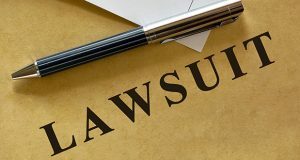 “This unreasonable expansion of Martinez to claims of appellate counsel’s ineffectiveness will effectively open the floodgates to the merits review of numerous procedurally defaulted substantive claims,” Horne said in his petition to the high court. Horne’s office did not return calls seeking comment on the court’s denial. Hurles’ legal team had argued in its response to Horne that the 9th Circuit’s ruling was consistent with Martinez and urged the high court to let it stand. “Where a defendant, such as Mr. Hurles, has the misfortune of being assigned incompetent appellate and post-conviction counsel, he loses any opportunity to challenge whether he has been ‘validly convicted,’” Hurles’ attorneys said. The defense team also did not return calls seeking comment. Experts said the case is unusual for the “extraordinarily high” number of times the court has considered legal issues related to it. Ryan v. Hurles was first presented last year to the court, which has reviewed the case in private conferences on 26 separate occasions, including four during the current term and 22 in 2013-2014. Amy Howe, editor of SCOTUSblog, which covers the Supreme Court, could not say whether the case has set a record for conference reviews or why the justices have considered it so often. The case now heads back to federal district court for an evidentiary hearing on Hurles’ claims.